Hello Dear Reader, greetings from SQL Saturday 130 in Jacksonville. This is just a quick post to say that the slide Deck & Scripts are now up and on the Resource Page, I'll follow this up next week with a longer post reviewing the event. Click Here for the Resource Page, click here for the Slide Deck, click here for the demos, and click here for the Monday Morning Check List. See you at SQL Saturday 130 Jacksonville! 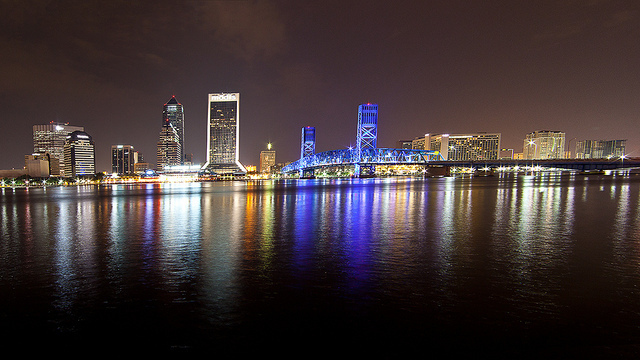 Hello Dear Reader, this Saturday April 28th is SQL Saturday 130 in Jacksonville FL! The good people from the Jacksonville SQL Server User Group have put together an excellent event. If you are in the Jacksonville area, (or in FL or GA for that matter) and would like to make it to the event, go register here because we would love to see you! On Friday the festivities kick off with a great Pre-Con Kevin Kline (Blog|@KEKline) a full day on Troubleshooting & Performance Tuning for Microsoft SQL Server 2008 R2. Kevin is one of the top guys in the SQL Server world, he is a Founding member of PASS and a former PASS President, he’s a SQL MVP, an author, and an all around great guy. This is a full day of training that normally goes for hundreds of dollars, and right now it is only $120 for the full day. Click on the link above to get more details. We will get to that in a moment Dear Reader but first let’s go to the line up. 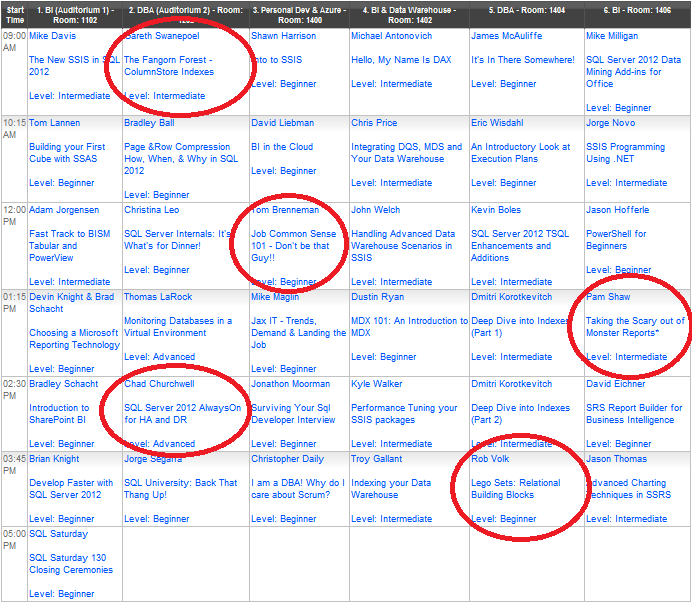 When you go to a SQL Saturday you expect a great line up, and SQL Saturday 130 in Jacksonville is no exception. 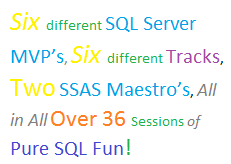 Six different SQL Server MVP’s, Six different tracks, two SSAS Maestro’s, all in all over 36 Sessions of pure SQL fun. As if this wasn’t enough it is free. That is right Dear Reader, if you have not been to a SQL Saturday in the past you may not know this but they are completely free to attend. For the full schedule click here. With all of these great speakers it will be tough to choose where to go, but I’m going to do my best! If you’re new to the blog you may not know this, but I LOVE Compression! One of the most interesting stories on Compression in SQL 2012, in my humble opinion, is ColumnStore Indexes. So I’m going to start out the day with my friend Gareth Swanepoel (Blog|@GarethSwan) to learn more about them as he presents The Fangorn Forest – ColumnStore Indexes. 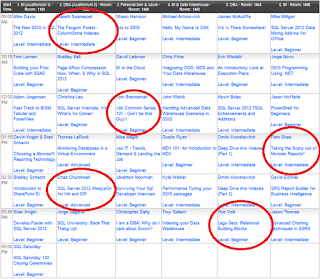 Then I’m off to present on Page & Row Compression in SQL 2012 (FYI 99.99% of what I cover works in 2008 R2 as well). 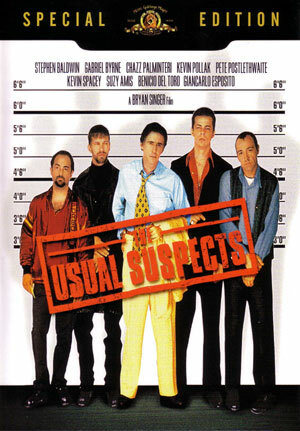 Next I’m off to watch Tom Brenneman (@TomBrenneman) present on, Job Common Sense 101- Don’t be that Guy!!. Tom does a lot of work with the Pragmatic Works foundation, runs the Jacksonville SQL Server User Group, and whenever I’ve spoken with him is a very engaging man. I’m sure his presentation should be very interesting! After that I’m off to see Pam Shaw (Blog|@PamShaw) presenting Taking the Scary out of Monster Reports. Pam is a flat out expert at SSRS, she recently presented at MagicPASS, my SSUG home away from home, and she is great. If you work with SSRS I would recommend you stop by and watch her present. Next up I’m going to attend Chad Churchwell’s (Blog|@ChadChurchwell) session on SQL Server 2012 AlwaysOn for HA and DR. I’ve had the pleasure of working with Chad since I hopped over to Pragmatic Works, and he is absolutely brilliant, Availability groups are one of the best things to come out of SQL 2012 and I’m really looking forward to seeing Chad’s take on them. Finally I’m going to finish off the day watching my friend Rob Volk(Blog|@SQL_R) present on Lego Sets: Relational Building Blocks. I first watched Rob present at SQL Saturday 85 in Orlando last year, he is funny, engaging, and presenting on a topic I think EVERY DBA should learn about, Set Based Logic. This is the mathematical foundation of how data set’s inside of SQL server work, and are the most efficient way to move and alter data vs. the Row By Agonizing Row approach (RBAR). This should be a great way to end the day. I’m presenting on my favorite topic, data compression. And I hope you will stop by and join me if you are at SQL Saturday. Here’s my abstract. This presentation is always a lot of fun, small crowd or big. AS what our companies want to track continues to grow, our data volume will only continue to grow, and Compression will be a major component of how to handle that. Come and learn how you should do it, and I’m not just talking turning it on and off, but really learn what are the internals of compression. Learn how to decide what you should and should not compress, and walk away with a Monday Morning Checklist that will aid you if you are looking to apply this soon at your job. As always Thanks for stopping by Dear Reader, I hope to see you at SQL Saturday and if you cannot make it to my session, I hope to see you at the event!